Ayşe Zeren Güven received her law degree from Istanbul University Law School in 1967. 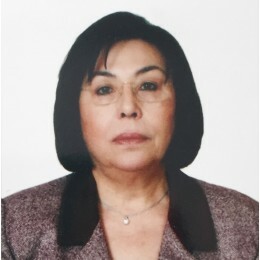 She is the Co-Founder of Güven Law Office along with Ahmet Zeren Güven, her partner and husband. She mainly specialized on Administrative Law, Labor Law, Commercial Law, Contracts, Inheritance Law, Leasing, Planning, Real Estate and Construction Law. She had extensive experience in Estate Administration, pursuing estate lawsuits and wills. Ayşe Zeren Guven also advised clients on both domestic and international real estate, construction and engineering projects. She worked on purchase, rental, lease and legal investigations of real estates, the preparation of legal documents for industrial plants, hotels, office and residence buildings, shopping malls and restoration of historical buildings. She was an active member of American Collegiate Institute Alumni association and Soroptimist International. She is survived by two sons and grandchildren.